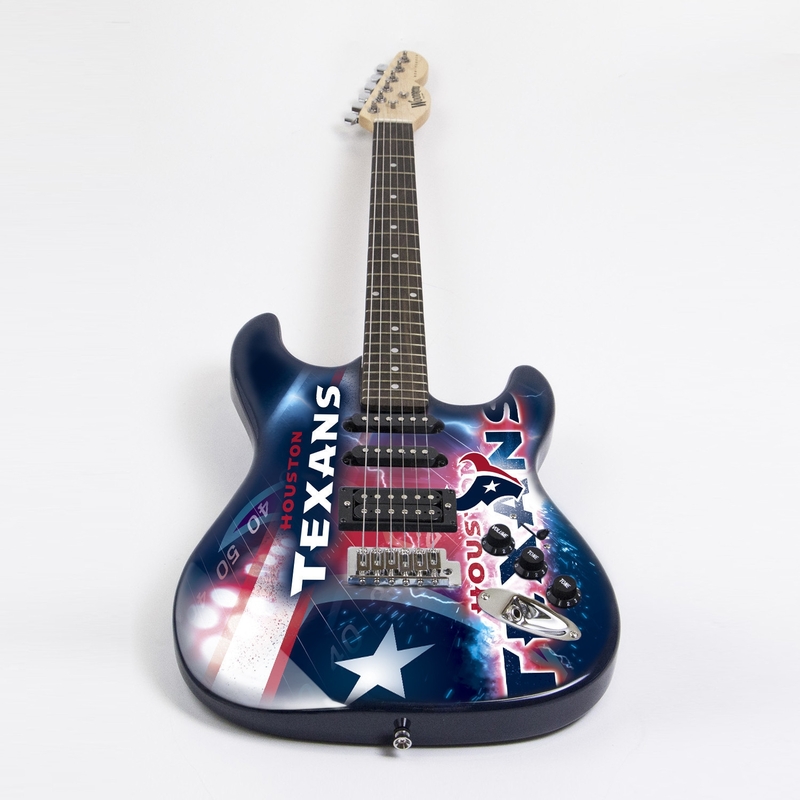 Defeat the urge of buying another run-of-the-mill guitar and pick up this Nfl officially-licensed Houston Texans NorthEnder Guitar for your next show! With multiple playoff appearances, Woodrow gets why you're a fan. The Houston Texans NorthEnder Guitar features an individually numbered plate and solid maple neck to show off your pride for the home team. The base of this guitar, featuring steel blue, battle red, and liberty white showcases the team's logo against a backdrop that practically drips graphical mastery. 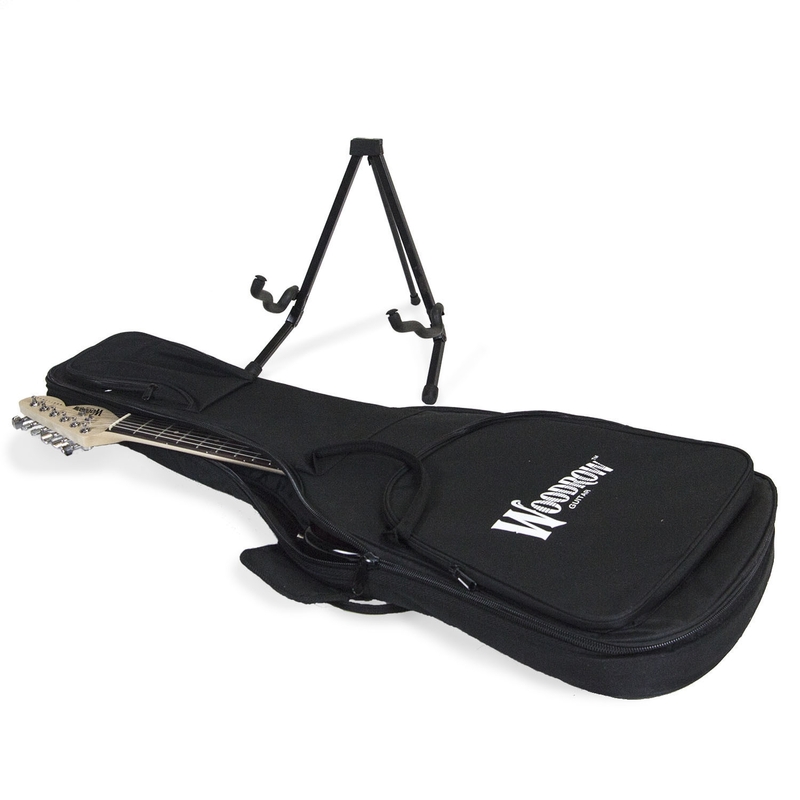 Every one of these highly-collectible pieces comes with a complimentary Woodrow-branded padded gig bag and guitar stand. Represent one of the points on the Texans logo, pride, and add a Houston Texans NorthEnder Guitar to your cart today! 100% Satisfaction Guarantee: At Mansion Game Day, we want to be sure that the item you choose is the right one for you. Within 30 days of delivery of your order, you may return any merchandise purchased from Mansion Game Day in its original condition with your email order confirmation or packing slip. Restocking fees may apply. On items over $275 shipping within the US, we will even arrange free pick up or pay for returns shipping.